Victorian bay, inlet and estuarine finfish fisheries are multi-species, multi-method fisheries that are subject to multiple competing uses and are characterised by large fluctuations in fish abundance that are driven more often by both natural and human induced changes in aquatic habitat and environmental conditions, than by the direct effects of fishing. 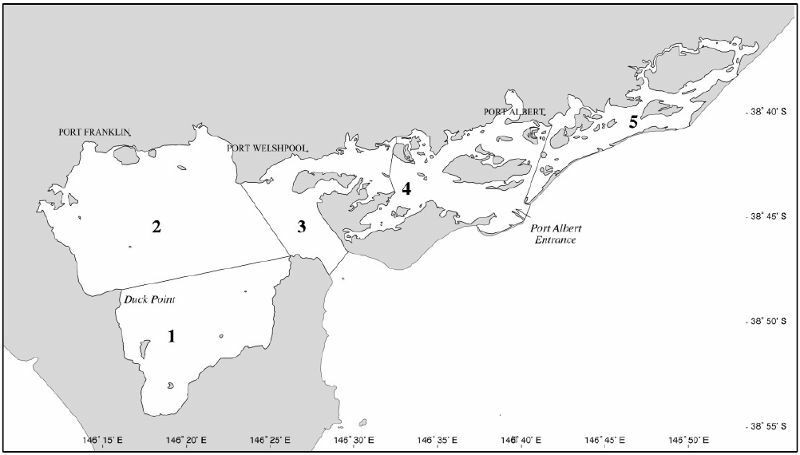 The larger bay and inlet fisheries include Western Port (Figure 1), Port Phillip Bay (Figure 2), Corner Inlet/Nooramunga (Figure 3) and the Gippsland Lakes (Figure 4) where both commercial and recreational fishing occur. 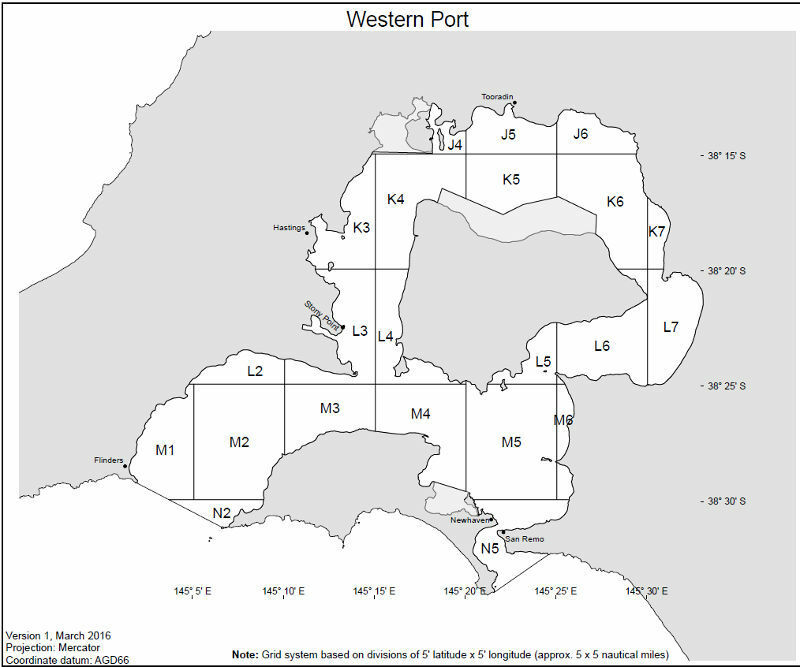 Commercial netting was phased out in Western Port in 2009 and by 2022 there will be no commercial netting in Port Phillip Bay. 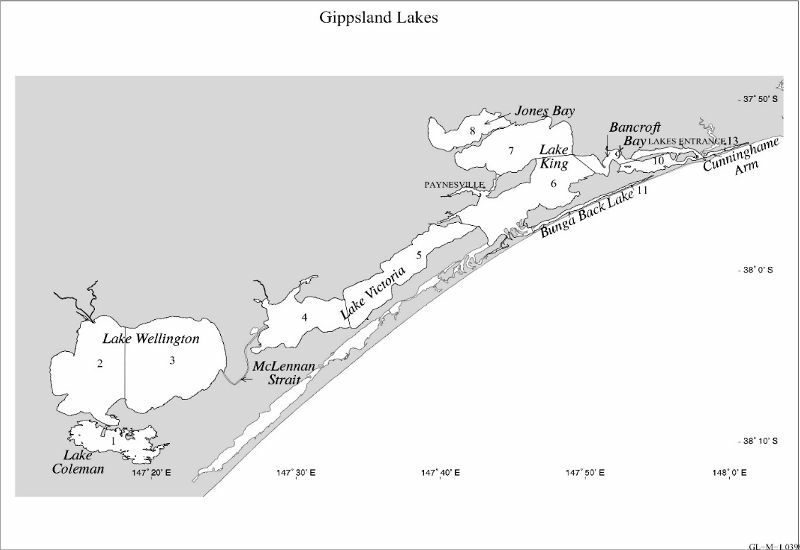 Commercial fishing (other than bait and eels) has been removed from the smaller inlets and estuaries that include Anderson Inlet, Mallacoota Inlet, Lake Tyers, among other minor inlets across the state. 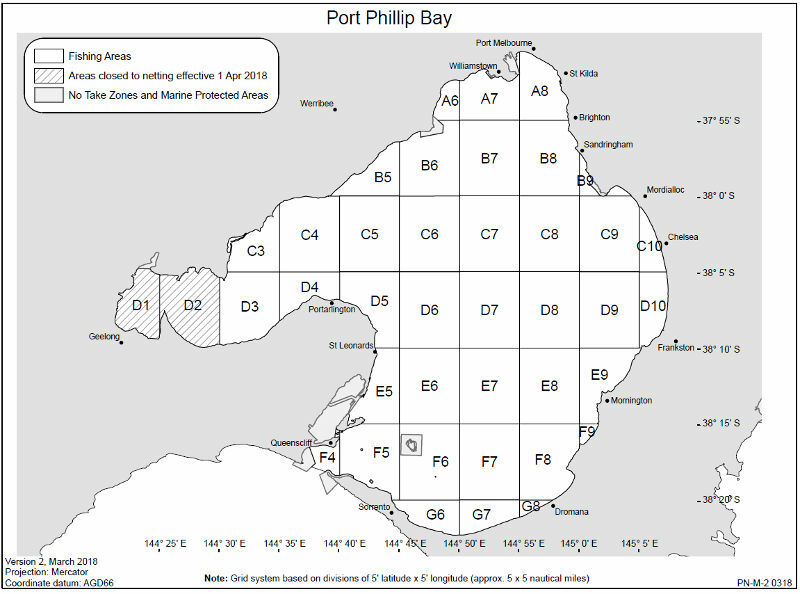 Commercial bay and inlets fisheries are multi-species, multi gear fisheries managed using a range of input controls. Octopus trap, bay fish trap, fishing line (including a longline), underwater breathing apparatus and a hand operated bait pump. Commercial hoop net, longline, seine net, mesh net and fishing line. Mesh net, seine net, shrimp dredge, crab pot, bait pump, dip net, stake net, shell shovel, spider crab trap, underwater breathing apparatus and fishing line.